Provide learners with opportunities to avoid using H.E.F.F to develop their fluency when presenting. 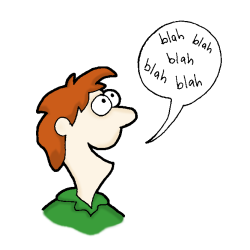 Step 4: Each learner should talk until they hesitate, use an elision, a false start or a filler. The object of the game is to talk for one minute without breaking H.E.F.F. Give The Spoken Language game a go in your classroom – how long can your learners talk for on a subject without breaking H.E.F.F?